Last March, part of a floor under construction at Oregon State University collapsed after it became ‘de-laminated’ (unglued) at one end. It was a 4- by 20-foot panel of cross-laminated timber, or CLT. Ironically, it was part of a new building that will house the university’s College of Forestry. While no one was injured, the incident has raised questions (once again) about the risks of CLT. CLT is a type of ‘engineered’ or ‘manufactured’ wood, where two inch-thick boards of wood are glued and pressed together to form larger wood panels. To make CLT, boards are stacked, one on top of the other, with each layer running at a 90° angle to the one above / below it. This is done to strengthen it. Developed in Europe in the 1990s, CLT is now being used more in North America. While some argue that it is strong and environmentally friendly, more people are taking a harder look at its structural performance, its risk related to fire, and the health and safety of occupants within it. The fact that CLT is glued together raises concerns regarding water. Fire may have a more devastating impact on property, but it’s water that causes the most building damage overall (think flooded basements and leaky roofs). It’s therefore conceivable that a material made with layers of glue could, over years and decades, become unglued. CLT is also at risk of structural degradation due to ‘rolling shear failure’, which is cracking within the wood. It happens when CLT panels — usually flooring — are under heavy load-bearing pressure. The pressure causes layers in the panels to break down and separate. Often, they are inner layers, resulting in compromised durability that wouldn’t be visible to occupants. The threat of fire is perhaps the greatest concern surrounding CLT, especially in light of incidents such as the 2017 tragedy at London’s Grenfell Tower, and similar cladding-related fires that have ravaged skyscrapers in Dubai. Building and fire officials around the world are now shining a harsher light on seemingly cost-effective but potentially more flammable building materials. 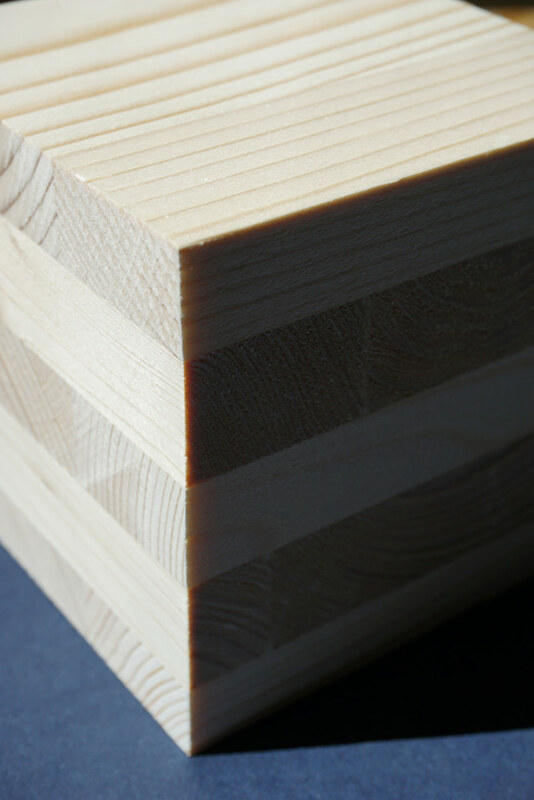 In lab-based testing, CLT initially chars on the outer layer, reducing the burning effect on the inner layers. Commonly, CLT panels have a two-hour fire rating, meaning that it takes two hours before fire fully penetrates the inner layers and destroys its strength. However, experience has shown that a fire set in a lab does not always mirror real life. Today’s building fires are fuelled by an abundance of man made materials, from foam-filled couches and acrylic rugs to polyester curtains. These materials can burn hot and fast enough to cause floors to collapse in 20 minutes. Which begs the question: Can CLT withstand these conditions? The consensus among many firefighters is that there hasn’t been enough testing to accurately determine how CLT performs in the real world. And in fact, the International Building Code (IBC) has been reluctant to recognize CLT as a structural material, resisting pressure to increase the maximum number of storeys allowed in CLT-constructed buildings. Now, due to industry lobbying, it appears that codes in the U.S. are moving in this direction. While the performance of CLT may be in doubt, there have been broader concerns about the testing of wood products in general. In 1999, the UK Timber Frame Association (UKTFA) conducted a study that found timber framing to be fire-safe (timber framing had been prohibited in England following the Great Fire of London in 1666). It’s a fact that wood is limited in its ability to resist fire. Now, however, some scientists are also casting doubt on its eco-friendliness. 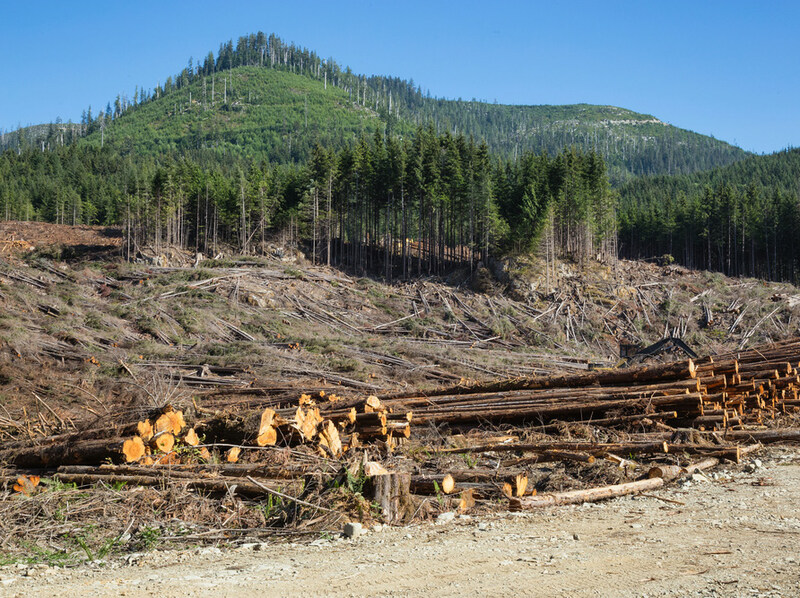 A recent study — conducted, in fact, by Oregon State University — points to the clearcutting of forests by the lumber industry as a major cause of carbon pollution. Forests are natural filters that absorb large amounts of carbon; when they are cut, the carbon is released. One scientist who contributed to the study says “we’ve been giving wood too much credit” as a green building material. In other words, it may be healthier to keep the wood ‘alive’ than to cut it down and build with it. CLT has attracted significant negative attention from a health standpoint following controversy that erupted in 2016 over laminate wood products from China. It was discovered that the products, mainly flooring, contained extremely high levels of formaldehyde. Tens of thousands of consumers were affected, and worried homeowners hastily ripped out floors to get rid of it. While manufacturers have worked to address the problem, the fact remains that much of today’s engineered flooring contains some formaldehyde. Formaldehyde is a carcinogenic gas that is released over time. Although it is present in many household materials, ranging from paint to insulation, the potential increase resulting from using CLT as a building material can push levels significantly higher. Regardless, entire buildings are being built of CLT, and it is being touted as comparable to concrete in terms of its strength and durability. That comparison, however, does not appear to be reflected in building insurance. A study conducted by Boston College on behalf of the U.S.-based National Ready Mixed Concrete Association found that builder’s risk insurance cost 22-72% less for concrete buildings, and commercial property insurance was 14-65% lower. Clearly, CLT remains controversial. Concerns related to building strength, fire resistance, and health and safety continue to chip away at CLT, with organizations such as the IAFC publicly opposing its widespread use.